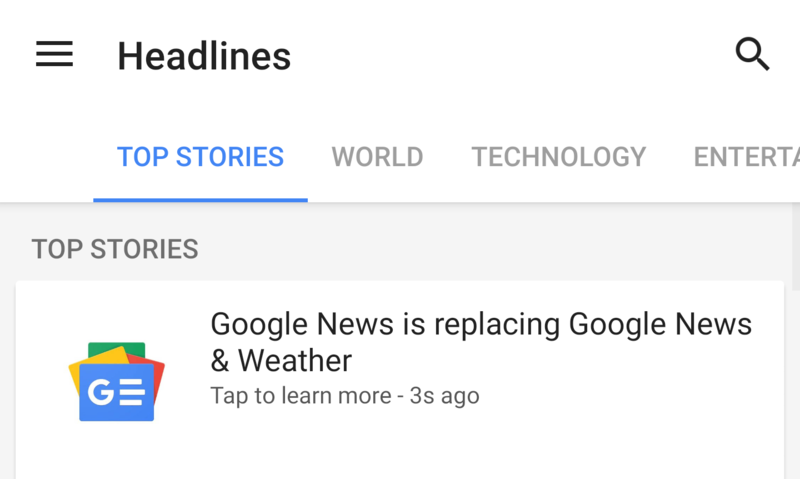 In what isn't surprising "news" for anyone, Google's News & Weather app is slowly being deprecated in favor of the more recent Google News. 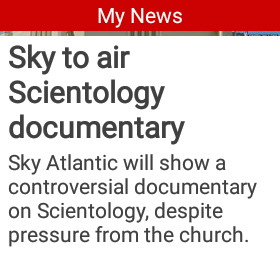 The application, which was pre-installed on many Android devices in the past and served as a good place to check the news, is now nearing the end of its life. BBC publishes a lot of apps for the UK market, but it's been branching out and making apps for a more worldwide audience as well. 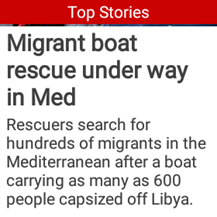 The BBC News app has already been localized to several languages, with language translations but also a focus on the target culture and audience: there's BBC Mundo, BBC Hindi, BBC Russian, BBC Cymru Fyw, and now the latest addition is BBC Arabic. 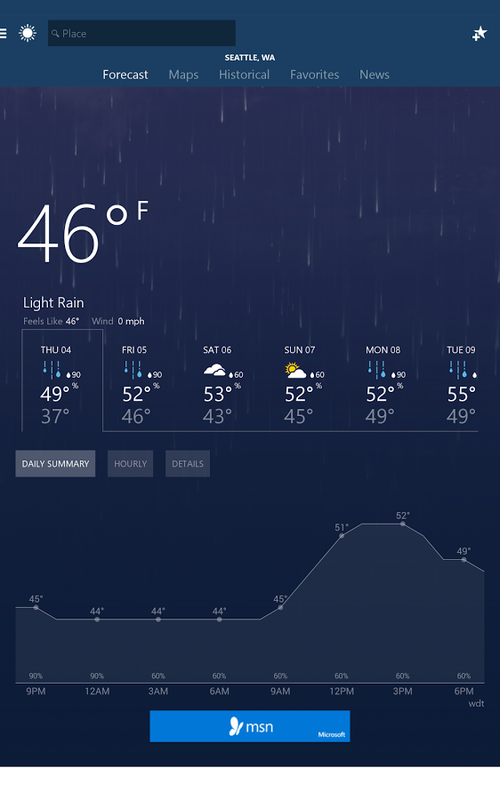 The app is obviously in Arabic and right-to-left aligned. It follows the same design as the other apps with a red theme and title bar, different categories of news spanning the world and the Middle East, and covering politics, science, technology, economy, arts, sports, and more. 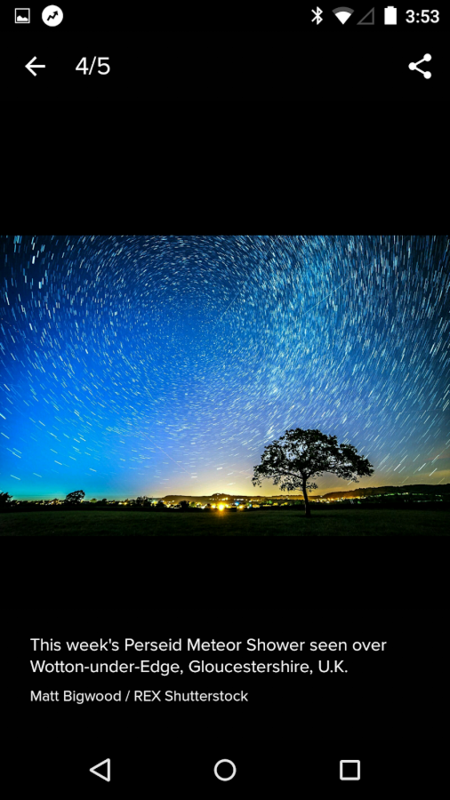 The Galaxy View is big. Really, really big - the 18.4-inch device seems to be intended as a tabletop computer rather than a conventional portable tablet. Samsung's custom version of Android will make good use of the extra space, but even the tablet apps on the Play Store probably aren't well-formatted for a screen the size of a small PC monitor. 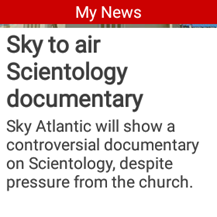 To make sure users are getting a good experience on their Galaxy View, CNN has made an app especially for the tablet... probably with a little encouragement (read: payment) from Samsung. 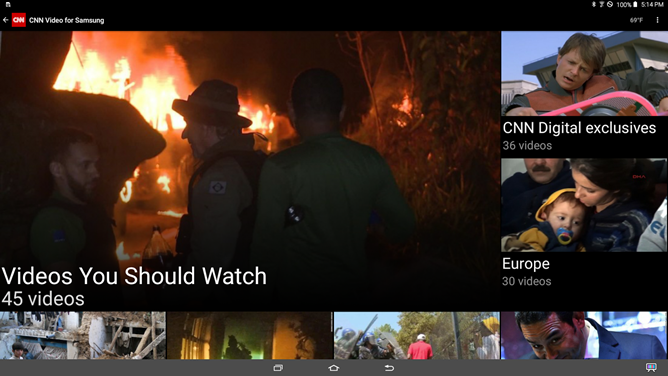 "CNN for Samsung Galaxy View" is, of course, only compatible with the Galaxy View, but it's been published to the Play Store presumably for the sake of easy updates. 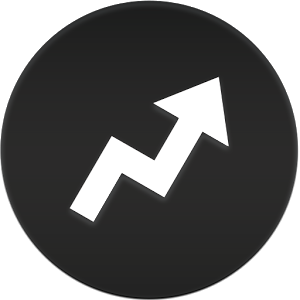 Buzzfeed gets something of a bad rap among some of the more conventional news outlets on the Internet. One that it entirely deserves, by the way - you'd be hard-pressed to find a more wretched hive of low-thought content and ill-advised "viral" posts outside of... actually, there's nowhere else. But Buzzfeed's news portal is, if not exactly stellar, then not entirely worthy of derision either - they managed to interview President Obama that one time. 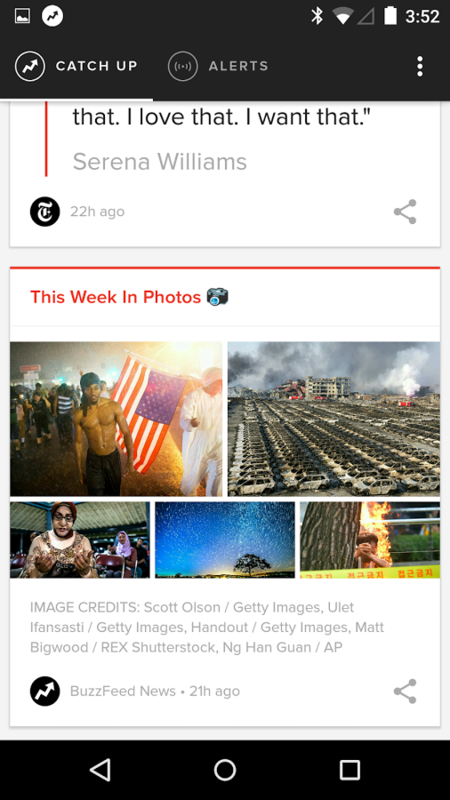 Buzzfeed's third published Android app is specifically for the news portion of the site. 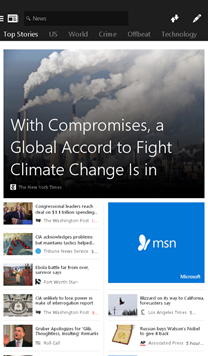 BF News is a typical news app, but it's a bit Spartan at the moment. 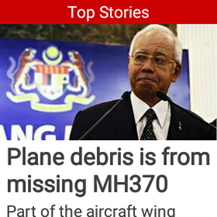 "The Beeb on your wrist" might be mistaken for Cockney slang by some poorly-travelled American blogger, but in this case it's the latest feature to hit the official BBC Worldwide news app. 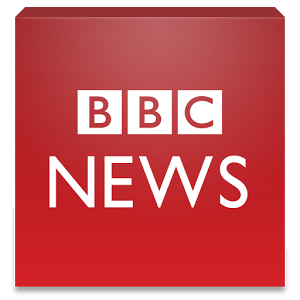 The update to 3.2 for BBC News UK and BBC News Worldwide will send short snippets of stories to your Android Wear device. 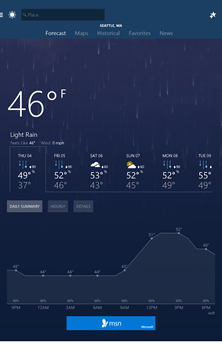 The only other changes are bug fixes and some layout adjustments for the primary, non-wearable app. 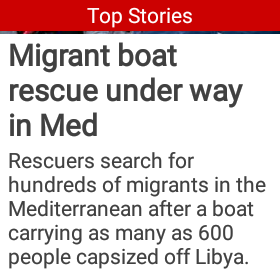 BBC News on a watch is surprisingly usable. A title, header image, and short paragraph for each story are displayed in a sort of mini-RSS style. 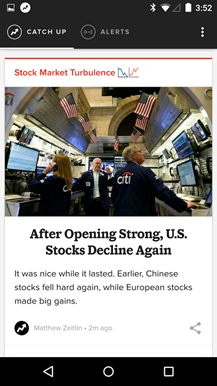 The layout lets you swipe horizontally and vertically: go up or down to move between the "Top Stories," "My News" (selected on the smartphone app), and "Most Read" categories, and swipe left or right to move between individual stories. Microsoft has been surprisingly generous when it comes to apps for Android, a platform it's technically still competing against. (Sort of.) Today the company launched an entire suite of Android apps to support its MSN/Bing web platform. 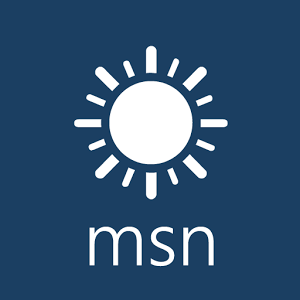 All six of them tie directly into existing services: MSN Food & Drink, MSN Health & Fitness, MSN Money, MSN News, MSN Sports, and MSN Weather. They're all free to download in the Play Store right now. The new apps are basically re-skinned versions of the mobile websites they connect to, but the structure is a little more usable than a straight-up web wrapper, something that's depressingly common in the Play Store. Yahoo has released another Android app and - hey, come back here, this is actually cool - it's an attractive take on providing the news. 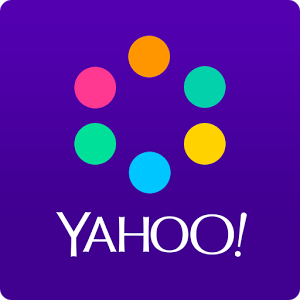 Yahoo News Digest gathers bits of news from around the Internet (various reports, video, Wikipedia entries, Google maps, etc.) and puts them together to form a single story. 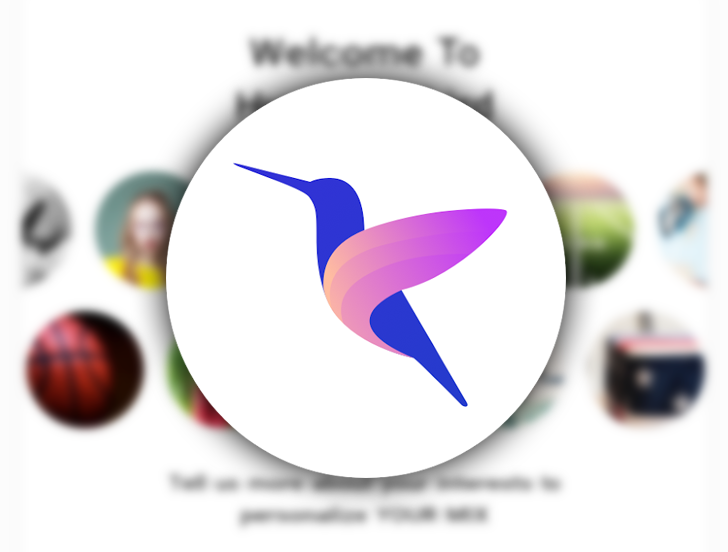 The formula isn't quite the same as Circa's, but it should seem familiar to anyone accustomed to that bite-sized news app. 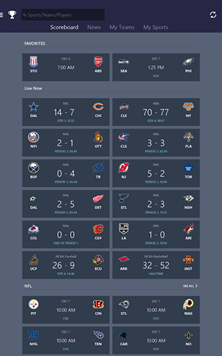 Presentation is half the appeal here, and you may be pleased to know that Yahoo has done a good job creating an app that doesn't offensively ignore all of Android's taste in design.